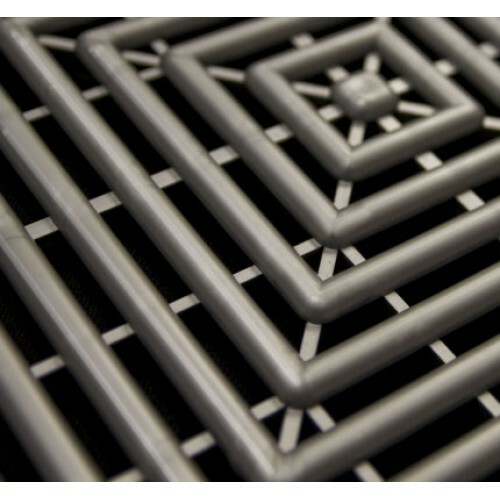 FREEFLOW (12" Tile) - Creates a Hi-tech look. Offers maximum air flow and drainage of liquids. RaceDeck flooring is easy to install and creates a clean, durable floor covering hiding unsightly concrete. 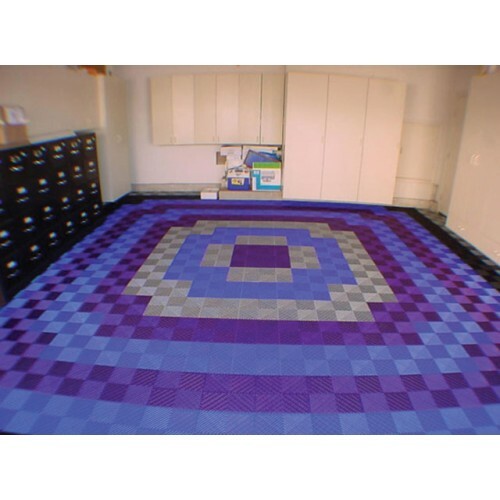 RaceDeck modular floors are cost-effective alternatives to epoxy floors. The flooring can be installed in just hours, not days like epoxy coatings. There is no floor preparation required other than sweeping and vacuuming a level concrete floor, then just "snap" the patent interlocking modules together. 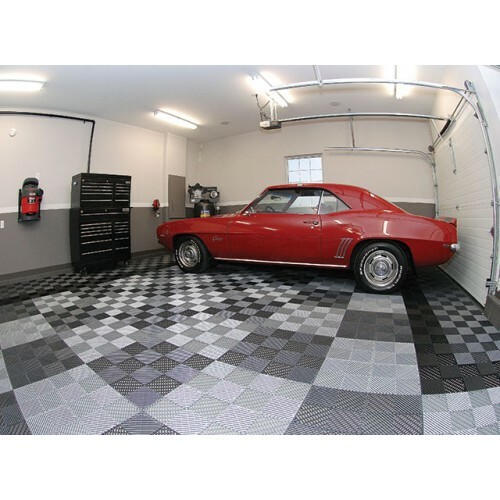 RaceDeck flooring is a multipurpose interlocking floor system engineering to withstand the toughest mechanical environments, and is not affected by automotive chemicals. 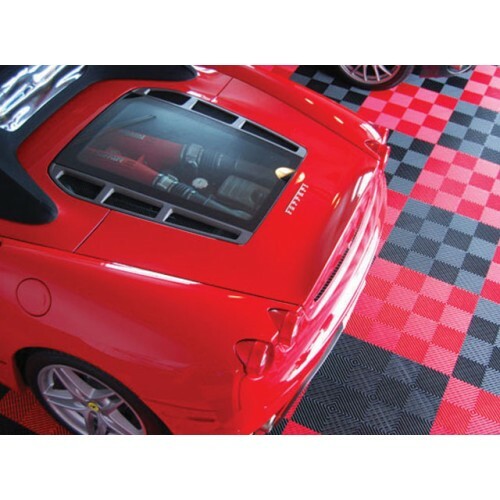 RaceDeck flooring is UV stable, easy to clean, and is suitable for vehicle traffic. RaceDeck also carries a 15 year limited warranty - try to get that with epoxy coatings! 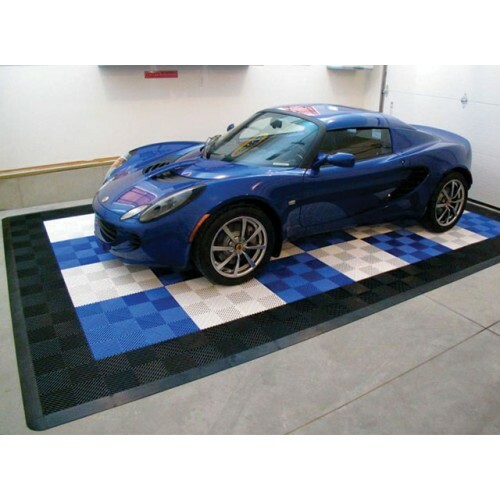 RaceDeck is great for Garages, Shops, Retail Displays, Car Shows, and anywhere you need a High-Tech Custom Floor. 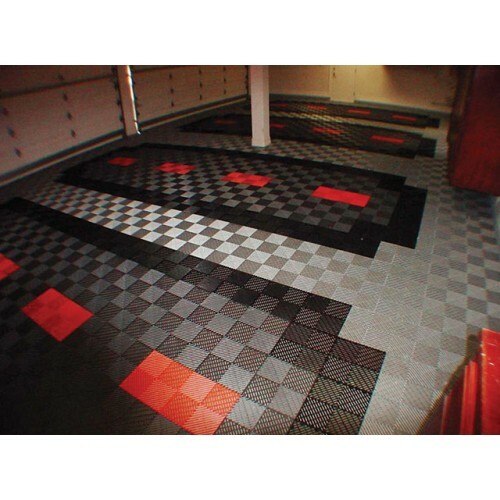 RaceDeck is a patented multi-use interlocking floor system that is engineered to withstand the toughest mechanical environments and is not affected by petroleum products and most automotive chemicals. Installs in hours, not days - you simply snap your floor together over any solid swept surface. No glues, no paints, NO VAPOROUS TOXIC FUMES. 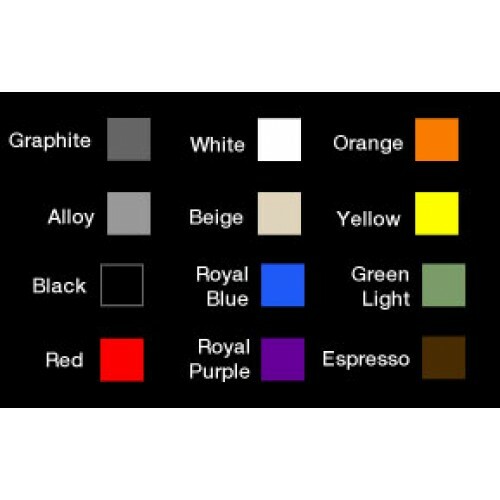 Numerous styles and colors to chose from. Create your own custom design. Full-Suspension Flooring provides great anti-fatigue and insulation barrier between you and the cold, hard floor. Built to handle extreme roll capacities. Will support floor jacks, tool boxes and jack stands. Edging easily snaps into the garage floor to create a smooth transition. Made in the USA with a 15 year manufacturer's warranty. Don't forget to finish the job with RaceDeck edging! 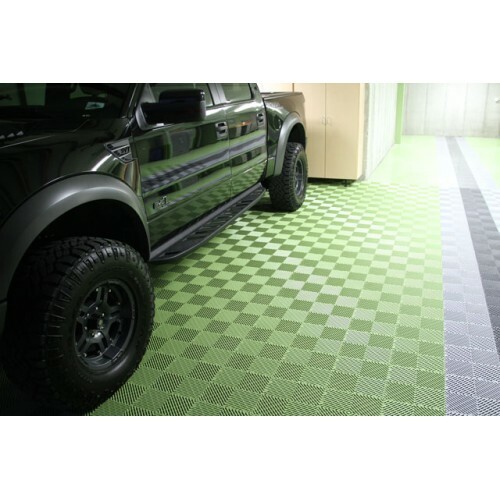 Levant Garage Rolled Flooring Purchase more than 1 and save $10 on every roll! Garage Floorin..